Great news! QV Plus 0.9.2 1.0 is available. See here! As no documentation is available yet, please watch the videos in order to understand how it works. Take it for a spin, let me know what you think! Some of the tools have shortcuts (CTRL+ALT+P for Style -> Common Properties). Some document actions have shortcuts (CTRL+Click on the tree menu for “Fit to Zoom”). See “Help -> About” for more. Some tools are aware of the selected objects in the document. If there’s only one selected object, all the objects will be loaded. If there’s two or more selected objects, only selected objects will be loaded. IMPORTANT: The items in the objects lists have 3 states: not selected, marked (for selection) and selected (green). Actions will be performed only on the selected items, unless otherwise stated. Some advanced features are reserved for QV Plus Pro. 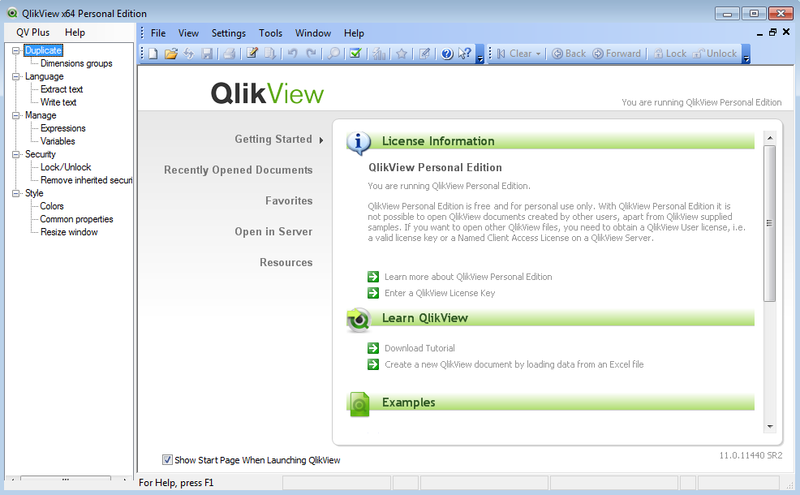 QV Plus Beta is available here. Ya tenemos aquí la Beta para el traductor y más cosillas.